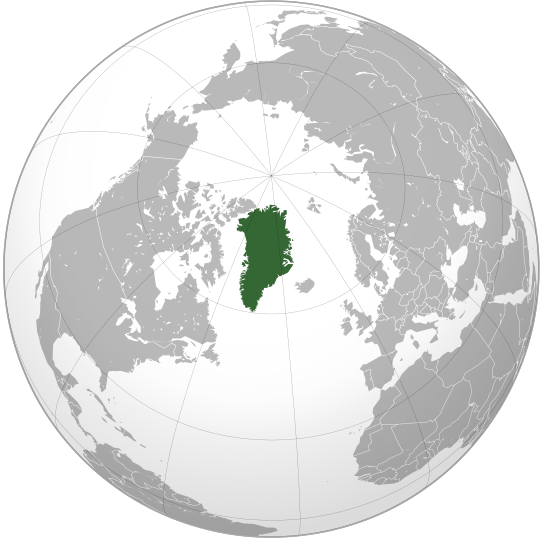 The official name of the country is the Kalaallit Nunaat which literally means “the land of the Kalaallit” in Greenlandic (Kalaallisut). Greenland is an autonomous country within the Kingdom of Denmark, located between the Arctic and Atlantic Oceans, east of the Canadian Arctic Archipelago. Though physiographically a part of the continent of North America, Greenland has been politically and culturally associated with Europe (specifically Norway and later Denmark) for more than a millennium. In 2008, the people of Greenland supported a referendum on greater autonomy by 75%. Greenland is, by area, the world’s largest island. With a population of 56,749 (2012 estimate), it is the least densely populated dependency or country in the world. Greenland has been inhabited, though not continuously, by Arctic peoples via Canada for 4,500 to 5,000 years. In the 10th century, Norsemen settled on the uninhabited southern part of Greenland. In the 13th century, the Inuit arrived, and in the late 15th century, the Norse colonies disappeared. In the early 18th century, contact between Scandinavia and Greenland was re-established and Denmark established rule over Greenland. Greenland became a Danish colony in 1814 after being under the rule of Denmark-Norway for centuries. With the Constitution of Denmark of 1953, Greenland became part of the Danish Realm in a relationship known in Danish as Rigsfællesskabet (Commonwealth of the Realm). In 1979, Denmark granted home rule to Greenland, and in 2008, Greenland voted to transfer more power from the Danish royal government to the local Greenlandic government. This became effective the following year on June 21, 2009, with the Danish royal government in charge of foreign affairs, security (defence-police-justice), and financial policy, and providing a subsidy of DKK 3.4 billion. This subsidy will gradually diminish over time as Greenland’s own economy is expected to become stronger due to income from resource extraction. Applications for a residence and work permit by foreign nationals who wish to work in Greenland are processed by the Danish Immigration Service on consultation with the Greenlandic Government. Once the Danish Immigration Service receives an application for a work and residence permit in Greenland, the application is forwarded to the Greenlandic Government, which issues a recommendation about whether it supports the applicant’s application. Since Greenland and Denmark are two distinct travel areas, a residence permit in Denmark does not carry with it the right to reside in Greenland. Likewise, a residence permit in Greenland does not carry with it the right to reside in Denmark. Whether you qualify for residence in Greenland in order to work depends primarily on your nationality and qualifications. Greenland has a population of 57,637 (July 2010 estimate), of whom 88% are Greenlandic Inuit (including Inuit-Danish mixed). The remaining 12% are of European descent, mainly Danish. The majority of the population is Lutheran. Nearly all Greenlanders live along the fjords in the south-west of the main island, which has a relatively mild climate. Approximately 15,000 Greenlanders reside in Nuuk, the capital city. Both Kalaallisut (Western Greenlandic) and Danish have been used in public affairs since the establishment of home rule in 1979; the majority of the population can speak both languages. Kalaallisut became the sole official language in June 2009. In practice, Danish is still widely used in the administration and in higher education, as well as remaining the first or only language for some people in Nuuk and the larger towns. A debate about the role of Kalaallisut and Danish in future society is ongoing. The orthography of Kalaallisut was established already in 1851 and revised in 1973, and the country has a 100% literacy rate. A majority of the population speaks Kalaallisut, most of them bilingually. It is spoken by about 50,000 people, making it the most populous of the Eskimo–Aleut language family. In fact, it is spoken by more people than all the other languages of the family combined. Kalaallisut is the Inuit dialect of West Greenland, which has long been the most populous area of the island. This has led to its de facto status as the official “Greenlandic” language, although the northern dialect Inuktun remains spoken by 1,000 or so people around Qaanaaq and the eastern dialect Tunumiisut by around 3000. These dialects are almost unintelligible to one another and are considered by some linguists to be separate languages. A UNESCO report has labelled the other dialects as endangered and measures are now being considered to protect the Eastern Greenlandic dialect. About 12% of the population speak Danish as their first or only language, many of them filling positions as administrators, professionals, academics, or skilled tradesmen. While Kalaallisut is dominant in smaller settlements, a part of the population of Inuit or mixed ancestry, especially in towns, speaks Danish as their first language. Most of Inuit population speak Danish as second language. In larger towns, especially Nuuk and in the higher social strata, this is a large group. While one strategy aims at promoting Greenlandic in public life and education, developing its vocabulary and suitability for complex contexts, this approach is labelled “Greenlandization” by opponents who do not wish to aim at Greenlandic becoming the sole national language. Greenland lies between latitudes 60° and 84°N, and longitudes 11° and 74°W and is the third largest country in North America. The Atlantic Ocean borders Greenland’s southeast; the Greenland Sea is to the east; the Arctic Ocean is to the north; and Baffin Bay is to the west. The nearest countries are Canada, to the west across Baffin Bay, and Iceland, east of Greenland in the Atlantic Ocean. Greenland also contains the world’s largest national park, and is the world’s largest island and the largest dependent territory by area in the world. The total area of Greenland is 2,166,086 km2 (836,330 sq mi) (including other offshore minor islands), of which the Greenland ice sheet covers 1,755,637 km2 (677,855 sq mi) (81%) and has a volume of approximately 2,850,000 km3 (680,000 cu mi). The highest point on Greenland is Gunnbjørn Fjeld at 3,700 m (12,139 ft). The majority of Greenland, however, is less than 1,500 m (4,921 ft) in elevation. The weight of the ice sheet has depressed the central land area to form a basin lying more than 300 m (984 ft) below sea level, while elevations rise suddenly and steeply near the coast. The ice flows generally to the coast from the center of the island. A survey led by French scientist Paul-Emile Victor in 1951 concluded that, under the ice sheet, Greenland was composed of three large islands. All towns and settlements of Greenland are situated along the ice-free coast, with the population being concentrated along the west coast. The northeastern part of Greenland is not part of any municipality, but is the site of the world’s largest national park, Northeast Greenland National Park. At least four scientific expedition stations and camps had been established on the ice sheet in the ice-covered central part of Greenland (indicated as pale blue in the map to the right): Eismitte, North Ice, North GRIP Camp and The Raven Skiway. Currently, there is a year-round station, Summit Camp, on the ice sheet, established in 1989. The radio station Jørgen Brønlund Fjord was, until 1950, the northernmost permanent outpost in the world. The extreme north of Greenland, Peary Land, is not covered by an ice sheet, because the air there is too dry to produce snow, which is essential in the production and maintenance of an ice sheet. If the Greenland ice sheet were to melt away completely, the world’s sea level would rise by more than 7 m (23 ft). Between 1989 and 1993, U.S. and European climate researchers drilled into the summit of Greenland’s ice sheet, obtaining a pair of 3 km (1.9 mi) long ice cores. Analysis of the layering and chemical composition of the cores has provided a revolutionary new record of climate change in the Northern Hemisphere going back about 100,000 years, and illustrated that the world’s weather and temperature have often shifted rapidly from one seemingly stable state to another, with worldwide consequences. The glaciers of Greenland are also contributing to a rise in the global sea level at a faster rate than was previously believed. Between 1991 and 2004, monitoring of the weather at one location (Swiss Camp) showed that the average winter temperature had risen almost 6 °C (11 °F). Other research has shown that higher snowfalls from the North Atlantic oscillation caused the interior of the ice cap to thicken by an average of 6 cm or 2.36 in/yr between 1994 and 2005. Scientists who probed 2 km (1.2 mi) through a Greenland glacier to recover the oldest plant DNA on record said that the planet was far warmer hundreds of thousands of years ago than is generally believed. DNA of trees, plants, and insects including butterflies and spiders from beneath the southern Greenland glacier was estimated to date to 450,000 to 900,000 years ago, according to the remnants retrieved from this long-vanished boreal forest. That view contrasts sharply with the prevailing one that a lush forest of this kind could not have existed in Greenland any later than 2.4 million years ago. These DNA samples suggest that the temperature probably reached 10 °C (50 °F) in the summer and −17 °C (1.4 °F) in the winter. They also indicate that during the last interglacial period, 130,000–116,000 years ago, when local temperatures were on average 5 °C (9 °F) higher than now, the glaciers on Greenland did not completely melt away. In 1996, the American Top of the World expedition found the world’s northernmost island off Greenland: ATOW1996. An even more northerly candidate was spotted during the return from the expedition, but its status is yet to be confirmed. In 2007 the existence of a new island was announced. Named “Uunartoq Qeqertaq” (English: Warming Island), this island has always been present off the coast of Greenland, but was covered by a glacier. This glacier was discovered in 2002 to be shrinking rapidly, and by 2007 had completely melted away, leaving the exposed island. The island was named Place of the Year by the Oxford Atlas of the World in 2007. Ben Keene, the atlas’s editor, commented: “In the last two or three decades, global warming has reduced the size of glaciers throughout the Arctic and earlier this year, news sources confirmed what climate scientists already knew: water, not rock, lay beneath this ice bridge on the east coast of Greenland. More islets are likely to appear as the sheet of frozen water covering the world’s largest island continues to melt”. Some controversy surrounds the history of the island, specifically over whether the island might have been revealed during a brief warm period in Greenland during the mid-20th century. The economy remains critically dependent on exports of shrimp and fish, income from resource exploration and extraction, and on a substantial subsidy from the Danish Government. The subsidy is budgeted to be about $650 million in 2012, approximately 56% of government revenues in 2012 for the year. The public sector, including publicly owned enterprises and the municipalities, plays the dominant role in Greenland’s economy. Greenland’s real GDP contracted about 1% in 2009 as a result of the global economic slowdown, but is estimated to have grown 2% in 2010 and 3% in 2011. The relative ease with which Greenland has weathered the economic crisis is due to increased hydrocarbon and mineral exploration and extraction activities, a high level of construction activity in the Nuuk area and the increasing price of fish and shrimp. During the last decade the Greenland Home Rule Government (GHRG) pursued conservative fiscal and monetary policies, but public pressure has increased for better schools, health care and retirement systems. The Greenlandic economy has benefited from increasing catches and exports of shrimp, Greenland halibut and, more recently, crabs. Due to Greenland’s continued dependence on exports of fish – which accounted for 89% of exports in 2010 – the economy remains very sensitive to foreign developments. International consortia are increasingly active in exploring for hydrocarbon resources off Greenland’s western coast, and international studies indicate the potential for oil and gas fields in northern and northeastern Greenland. In May 2007 a US aluminum producer concluded a memorandum of understanding with the Greenland Home Rule Government to build an aluminum smelter and a power generation facility, which takes advantage of Greenland’s abundant hydropower potential. Within the area of mining, olivine sand continues to be produced and gold production has resumed in south Greenland. Tourism also offers another avenue of economic growth for Greenland, with increasing numbers of cruise lines now operating in Greenland’s western and southern waters during the peak summer tourism season. Being part of the Kingdom of Denmark, the foreign relations of Greenland are handled in cooperation with the Danish government and Greenlandic home rule authority. Unlike Denmark proper, Greenland is no longer part of the European Union. Air transportation exists both within Greenland and between the island and other nations. There is also scheduled boat traffic, but the long distances lead to long travel times and low frequency. There are no roads between cities because the coast has many fjords that would require ferry service to connect a road network. Kangerlussuaq Airport on the west coast is the major airport of Greenland and the hub for domestic flights. Intercontinental flights connect mainly to Copenhagen. In May 2007, Air Greenland initiated a seasonal route to and from Baltimore in the United States, but on March 10, 2008, the route was cancelled because of financial losses. In 2012 Air Greenland commenced seasonal, biweekly flights, between Nuuk and Iqualuit. Working in tandem with First Air passengers can then continue to Ottawa. Air Iceland began operating a twice-weekly Keflavík-Ilulissat route in July 2009. In addition to these routes there are scheduled international flights between Narsarsuaq and Copenhagen. Air Iceland operates routes between Reykjavík and Narsarsuaq, Ilulissat, Nuuk on the west coast and Kulusuk, Ittoqqortoormiit on the east coast. Sea passenger and freight transport is served by the coastal ferries operated by Arctic Umiaq Line. It makes a single round trip per week, taking 80 hours each direction. As a foreign national, you can be granted a residence permit in order to study in Denmark. If you are a Nordic citizen, you are free to reside, study and work in Denmark. If you are an EU/EEA citizen or Swiss citizen seeking residence in Denmark based on the EU regulations on freedom of movement, you may be subject to special rules. Read more about EU/EEA and Nordic citizens (here). 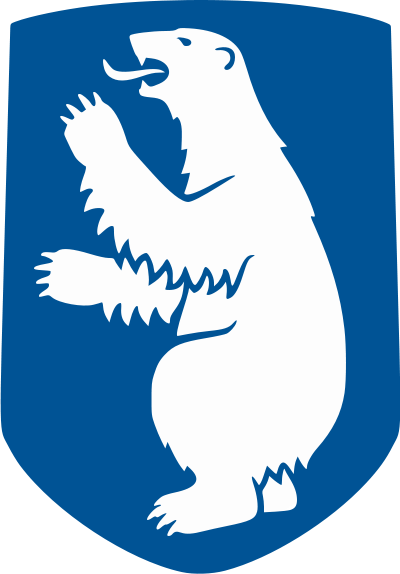 The University of Greenland (Kalaallisut: Ilisimatusarfik; Danish: Grønlands Universitet) is Greenland’s only university. It is located in the capital city of Nuuk. Most courses are taught in Danish and a few in Greenlandic. Greenland’s culture began with settlement in the second millennium BC by the Dorset Inuit, shortly after the end of the ice age. In the 10th century, Norwegian Vikings settled in the southern part of the island, while the Thule Inuit culture was introduced in the north of the island and expanded southward. The culture clash between two peoples is attested by the discovery of a fragment of Viking chain mail at a high latitude of the island, while a figurine carved from walrus ivory, clearly of Inuit origin, was found in Bergen, Norway. Both objects must be understood as a clear testimony of the trade between the two peoples. Inuit culture dominated the island from the end of the Middle Ages to the recolonization in the early 18th century, where European culture was reintroduced. Today Greenlandic culture is a blending of traditional Inuit (Kalaallit) and Scandinavian culture. Inuit, or Kalaallit, culture has a strong artistic tradition, dating back thousands of years. The Kalaallit are known for an art form of figures called tupilak or an “evil spirit object.” Traditional art-making practices thrive in the Ammassalik. Sperm whale ivory remains a valued medium for carving. Greenland also has a successful, albeit small, music culture. Some popular Greenlandic bands and artists include Chilly Friday (rock), Siissisoq (rock), Nuuk Posse (hip hop) and Rasmus Lyberth, who performed in the 1979 Eurovision Song Contest, performing in Greenlandic. The singer-songwriter Simon Lynge is the first musical artist from Greenland to have an album released across the United Kingdom, and to perform at the UK’s Glastonbury Festival. The music culture of Greenland also includes traditional Inuit music, largely based around singing and drums. Association football is the national sport of Greenland. The governing body, the Football Association of Greenland (Kalaallit Nunaanni Arsaattartut Kattuffiat), is not yet a member of FIFA because of ongoing disagreements with Sepp Blatter and an inability to grow grass for regulation grass pitches. However it is the 17th member of the N.F.-Board. In January 2007, Greenland took part in the World Men’s Handball Championship in Germany, finishing 22nd in a field of 24 national teams. Greenland competes in the biennial Island Games, as well as the biennial Arctic Winter Games. In 2002, Nuuk hosted the AWG in conjunction with Iqaluit, Nunavut. Also in 2002 and previously in 1994 they won the Hodgson Trophy for fair play.